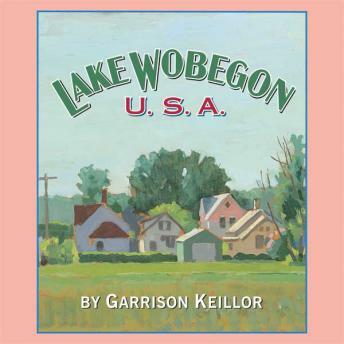 Lake Wobegon U.S.A. is the eagerly anticipated successor to News From Lake Wobegon (one of the bestselling spoken-word audios ever) and More News From Lake Wobegon. This collection contains 16 touching, exquisitely funny monologues from Garrison Keillor recorded during American Radio Company broadcasts from tour stops all over the country. The tales, says Keillor, are about "the luxury of rhubarb pie, the perils of prophecy, Florian and Myrtle's thrifty vacation, the vapor lights of Our Lady of Perpetual Responsibility. . . ." They are also about joy, grief, dreams, luck, and mysteries about the extraordinary moments of wonder that illuminate our ordinary lives.